Chokeberry is a powerful, all-natural weapon in the prevention of disease. 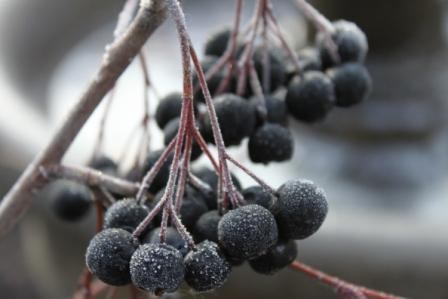 Most of all species is so called Siberian chokeberry that grows in the grip of a cold climate and unspoiled nature. Chokeberry is also called the food of the future as it has been of great healing power of the human body. Effectively it is purified by the emission of heavy metals and therefore has a useful preventive against cancer. Studies have shown that there is an anti-cancer effect and, because of the high percentage of “killing” of malignant tumor cells are brain, lung, breast, colon and liver. As the outstanding antioxidant, chokeberry prevents the formation of free radicals and “attack” the healthy cells in the body and the blood plasma, thus slowing down the process of aging and prevents the development of chronic diseases. Antioxidant capacity and its aronia juice is much higher than, for example, blueberries and other berries known as a breeding ground of antioxidants. A huge amount of tannins and flavonoids, where the main role is played by anthocyanin, chokeberry , make the strongest antioxidant known today. One hundred grams of ripe chokeberry contains 16 100 ORAC units while the daily dose required to protect tissues ranges from 3 000 to 5 000 ORAC units. In addition, a real treasure trove of biologically active compounds. There are over 300. Since vitamin contains all the essential nutrients – C, A, E, B1, B2, B3, B5, B6, B9, and the mineral is rich in zinc, iron, potassium, calcium, manganese, phosphorus and iodine. What is a Siberian chokeberry and what’s the difference? Thanks to a very well tolerated and winter frost and temperatures down to minus 47 degrees C and is due to Russia and Siberia. Extremely low temperatures on it does not leave any consequences. Siberian chokeberry or lat. Aronia melanocarpa has a very high percentage of polyphenols, vitamin C, E and beta-carotene, which makes it one of the most well-known and tested antioxidants. Of all just Aronia melanocarpa highest quality. Better known also as the wild variety and usually per cluster carries only 10 to 15 berries, but because they are three times stronger, it is healthier than cultivated grafted varieties. Mineral-rich land of Russia provides a wide range of natural minerals, no additional fertilizers. Previous: Can probiotics beat acne? How to reduce waist size in just one week? The first exercise, and coffee: The secret of health is in order!